Hyundai UK has partnered with Team Wiggins to provide vehicles to the British team in the 2016 season, with the team moving away from Jaguar cars they used last season. The South Korean manufacturer will provide a fleet of five vehicles to Team Wiggins – two i40 Tourers, two modified Santa Fe SUVs and an iLoad van. Like Team Sky, Jaguar have moved away from providing team vehicles, with the WorldTour team moving to Ford vehicles this season. 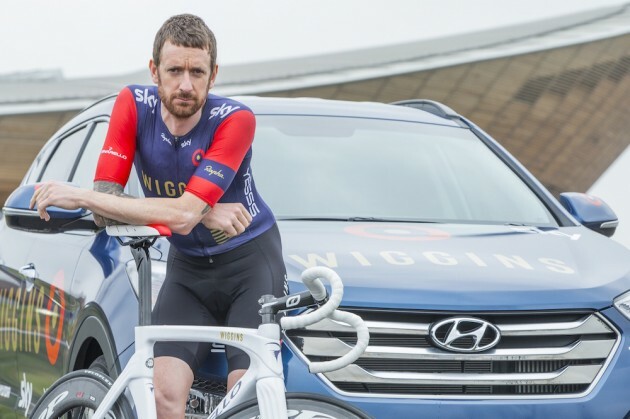 Sir Bradley Wiggins said: “We’re all chuffed to be working with a world-class brand like Hyundai. They’re a great fit for Team Wiggins as it’s a global company with a really positive spirit and attitude. Team Wiggins also announced a partnership with Yorkshire wholesaler YESSS Electrical, who become the main sponsor of the team.